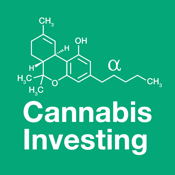 On The Cannabis Investing Podcast, Rena Sherbill and Jonathan Liss interview C-level executives, scientists, law and sector experts to discuss the present and future of cannabis investing. As a nascent industry, there are changes happening quickly around regulations, laws, medical and production innovation which all affect what stocks may or may not prosper. What better way to help guide investors than interviewing industry experts. The podcast will give you some investment ideas to consider, help you think through your investing approach or give you a new lens with which to understand this ever-growing sector. We are launching around the world-renowned Cannatech conference in Tel Aviv, an experience described as 'the Davos of cannabis conferences'.